I've made no secret about my love of Japan over here, and although I've traveled there three times, the itch to return for that fourth journey is there (mainly thanks to Nigel Slater's recent Instagram posts). 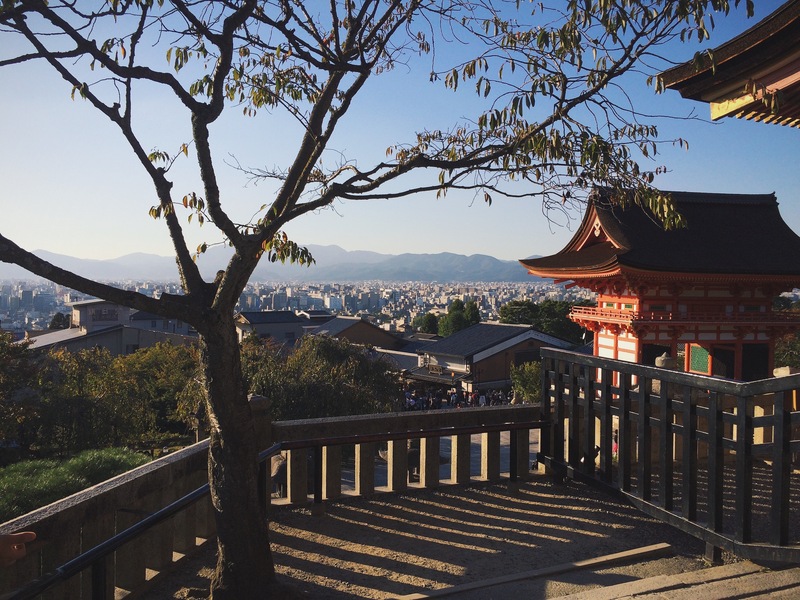 Although Tokyo is definitely the number one attraction of the country, Kyoto is still there on most people's must-visit list. For good reason, as it's an incredibly beautiful and fascinating city - you'll struggle to find a city that is as culturally rich as Kyoto. 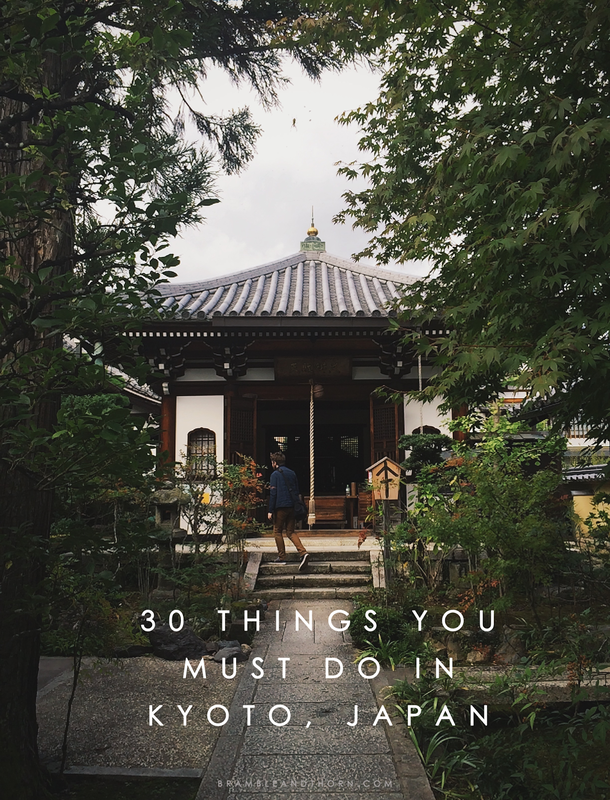 Here are my top 30 things you must do while you're there. 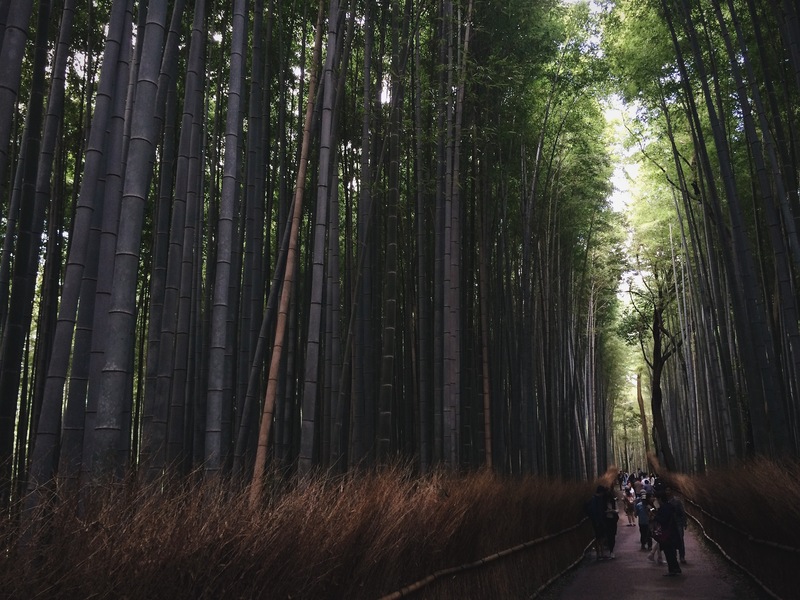 The Arashiyama Bamboo Path is one of the nicest walking paths in all of Japan surrounded by tall bamboo. The path is well maintained with thatch fencing complete with tiny doorways for small animals. Philosopher's Path is a pleasant stone path along a sakura lined canal. 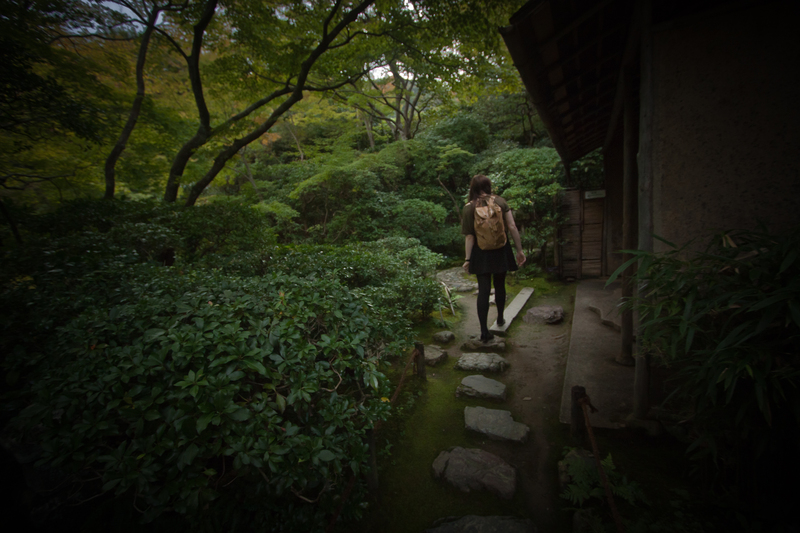 It's said that Nishida Kitaro, one of Japan's well-known philosophers walked the path daily. Today, there are numerous restaurants, cafes and shops along the 2-kilometer long path. The path starts at Ginkakuji and ends near Nanzenji temple. Gion is one of Japan's most exclusive entertainment districts. Many of Gion's streets haven't changed all that much in the past 300 years. 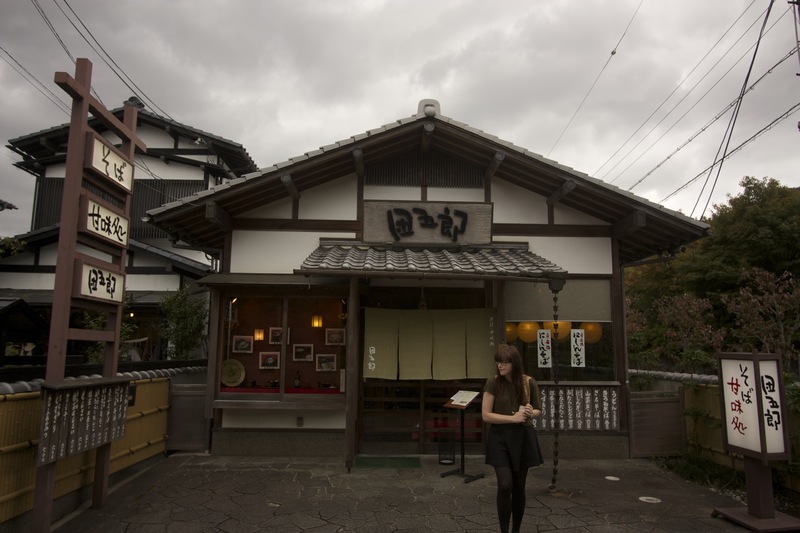 Geisha establishments, tea houses and fine restaurants dot Gion's streets. In this area, you have a good chance to spot a Geisha or Maiko darting to work. If you happen to visit Kyoto in July be sure to check out the Gion Festival. 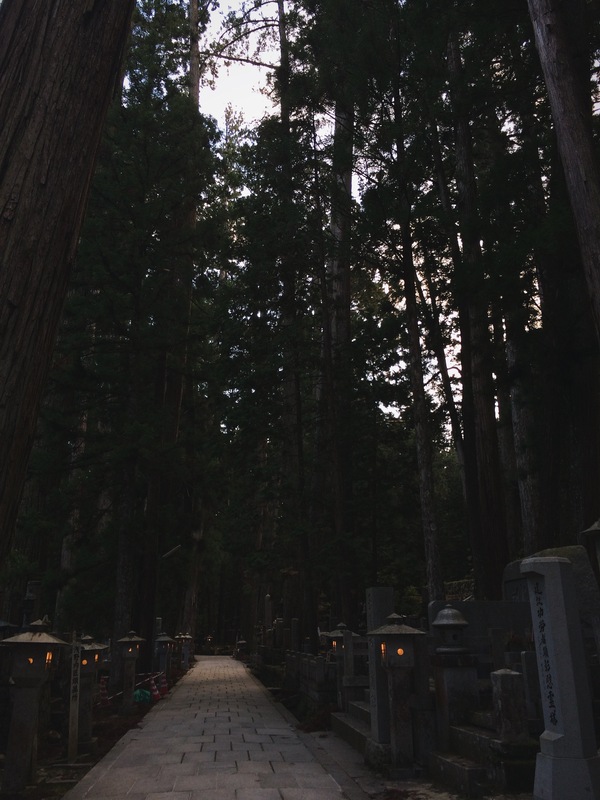 Kifune Shrine is situated deep in a cedar forest in the mountains. It's dedicated to the god of water (Izumi Shikibu). Praying at the shrine is thought to bring good luck for marriage and sea voyages. Kinkaku-ji is a golden pavilion (coated in pure gold leaf) located in a stunning Japanese walking garden. It's one of the most photogenic temples in the World. The original building dated back to 1398. In 1950, a 22-year-old schizophrenic monk burned the temple to the ground. It was promptly reconstructed. 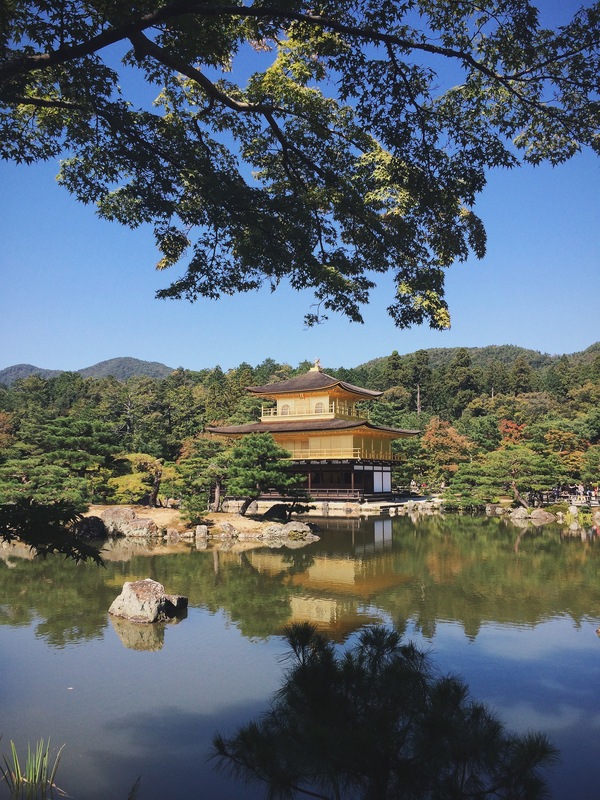 Kinkaku-ji is one of the most visited tourist attractions in Japan. A former capital of Japan, Nara (37km south of Kyoto) has numerous temples, including the Todai-ji, home to the largest wooden structure in the world, which houses a 500-tonne Buddha. 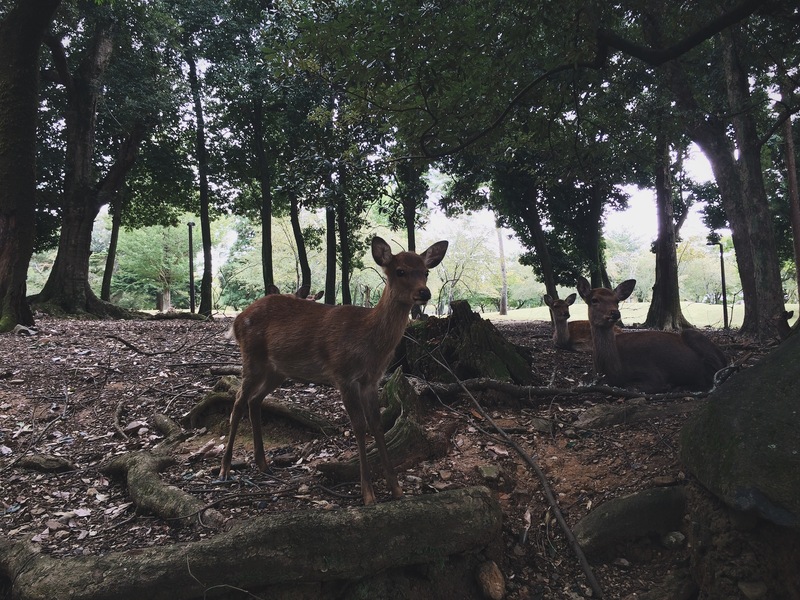 Get mobbed by cheeky deer (you can buy biscuits to feed them), once believed to be messengers of the gods. Tenryuji Temple is a Zen Buddhist temple in the Arashiyama district of Kyoto. It's the biggest and most significant temple complex in the area. The history of Tenryuji is a history of wars and fires. The temples at Tenryuji burned down in 1358, 1367, 1373, 1380, 1447,1467, 1815 and 1864. The present buildings date from the 19th century. Tenryuji's superb landscape garden escaped the fate of the temple buildings and remains intact in its original form. It features a large pond framed by rocks, pine trees and the forests of the Arashiyama mountains in the backdrop. Stay in a ryokan for at least one night. In these traditional-style inns, you sleep on futons, are encouraged to wear a yukata (light cotton kimono) and eat kaiseki cuisine. The most famous are Tawaraya and Hiiragiya, age-old institutions facing each other in central Kyoto. The Gion Hatanaka Ryokan, near the Yasaka Shrine, is more modern. Shiraume in Gion is highly rated. 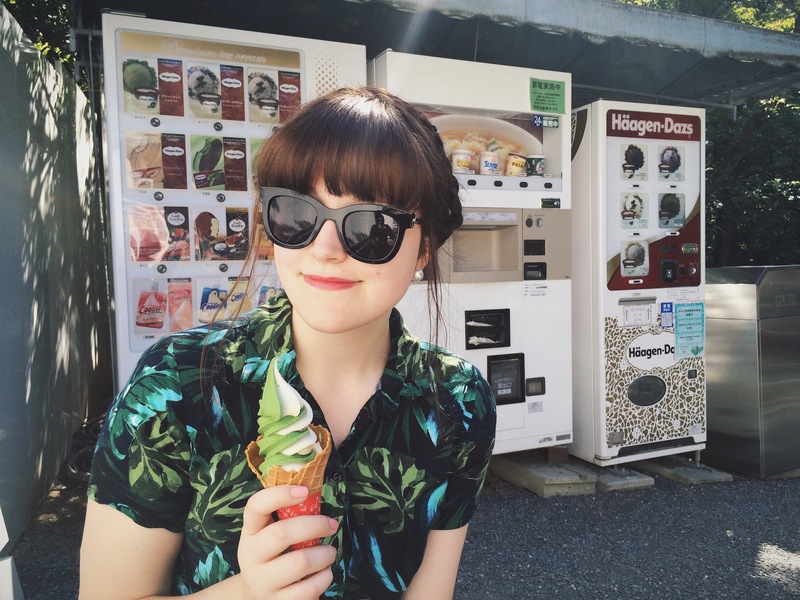 If you're in Kyoto in the warmer months, do me a favor and purchase as much green tea ice cream as your body can handle. It's everywhere, and so good. Should I be embarrassed that the above two photos are only a small representation of how much I ate there? Nanzen-ji is one of the largest and most important temple complexes in Japan. The temple's massive sanmon gate commemorates those who died at the siege of Osaka Castle in 1615. Kyoto's shopping district is centered around the intersection of Shijo-dori and Kawaramachi-dori. There are large Japanese department stores and smaller shops in the area. Teramachi street is a long shopping street in Kyoto. Its name means "temple town" after the warlord Toyotomi Hideyoshi (1537 – 1598) decided to move many of Kyoto's temples to the street after 100 years of war. It's a long street that has shops end to end. The north end of the street is filled with book shops, cafes, tea houses and restaurants. 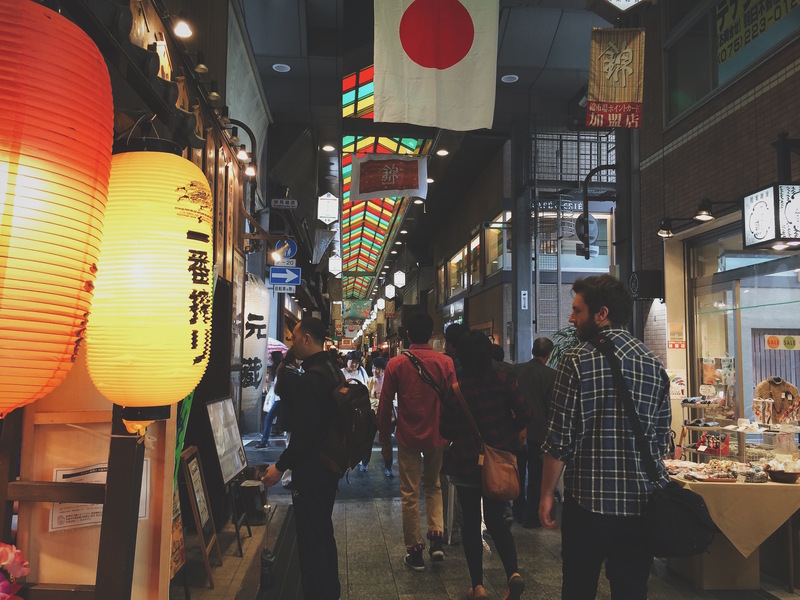 The south end is a covered arcade packed with cheap eateries, souvenir stores, clothing shops and pachinko parlors. This most-visited temple in Kyoto was built to honor Kannon, the goddess of mercy. Its beautiful hillside location offers spectacular views of the city and valley below. Ishibe Koji is a narrow alley that links Shimogawara street and Kodaiji street. 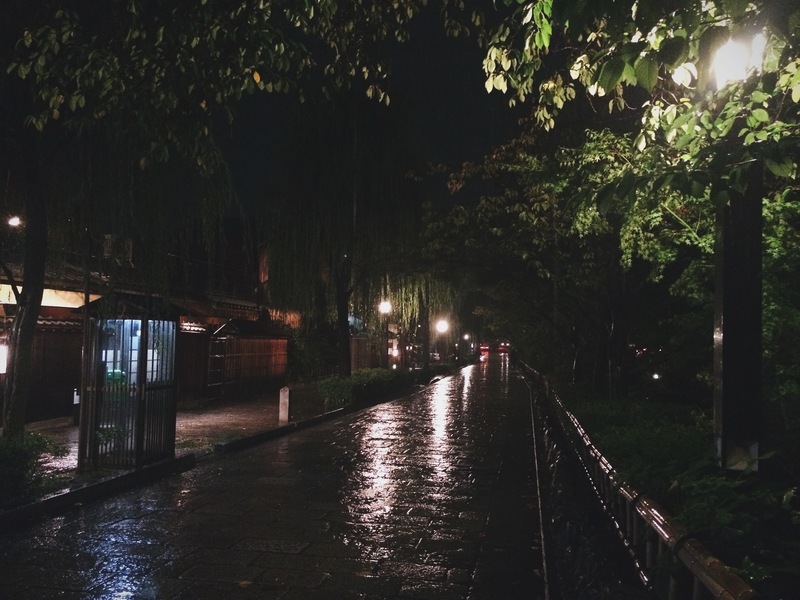 It is a quiet alleyway lined with private houses, ryokan and restaurants. It's paved in stone and surrounded by Edo-era structures making it a popular as a film and television location. A collection of 200,000 books and magazines including a large collection of Meiji-era items. The museum is also a manga cafe of sorts. On a nice day, you'll find dozens of people reading manga on the museum's grounds. Ryoan-ji is a Zen Buddhist temple that's home to the tombs of seven former Emperors. It's also home to Japan's most famous rock garden. It's not known how long the garden has stood here or who designed it. 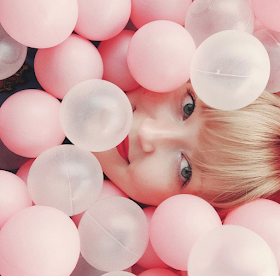 The meaning of the garden is also unknown. These are all matters of study and speculation. One interesting aspect of the garden is that one stone is hidden from view from every vantage point. A nightlife and dining area centered around an old alleyway that stretches about 6 blocks. Many restaurants in the area have a dining platform over the Kamogawa river known as a kawayuka. These restaurants are popular spots where customers dress in their best for a night of Kyoto cuisine. 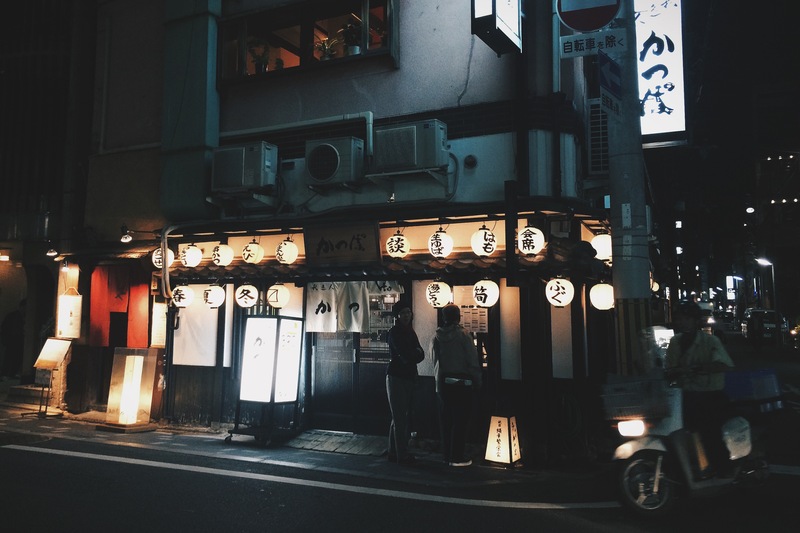 The street also has a variety of nightlife that's stuck somewhere between the year 1980 and 1640 with neon lights beside traditional lanterns. Pontocho is also one of Kyoto's Geisha districts. Japanese green tea is said to have originated in Uji, 14km south of Kyoto. Enjoy a civilised cuppa in what may be the oldest teahouse in world, the Tsuen, and pick-up a sample of the local wares from one of the many stalls lining the route to the lovely Byodo-in temple and superb museum. Walk back along the river towards the bridge; on summer evenings you may see cormorant fishing here. There are a couple of Arashiyama locations mentioned here already, however, the entire region deserves at least half a day exploring. I've also previously written about spending a day there. 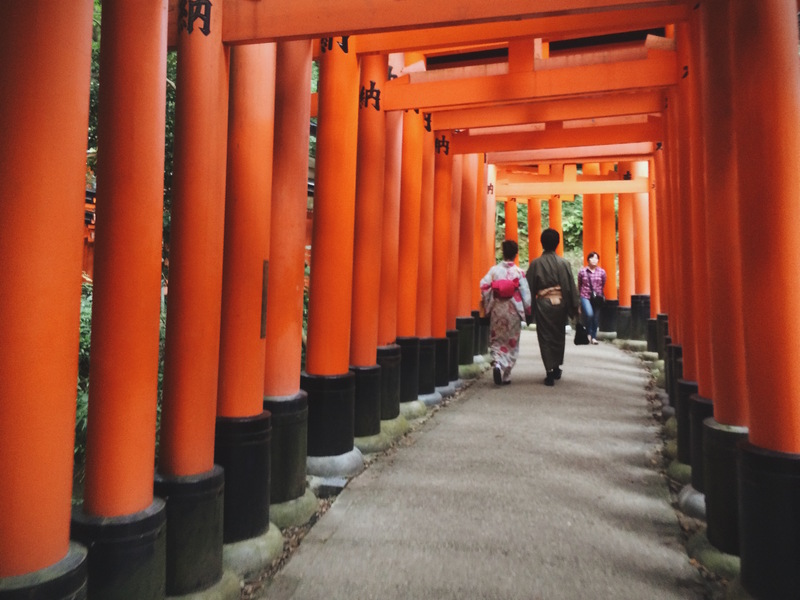 Photograph the iconic wooden bridge; take a boat, train or rickshaw ride; visit Tenryu-ji temple, a World Heritage site; and stroll through a bamboo forest that looks very Crouching Tiger, Hidden Dragon. Make the steep walk up to the Monkey Park to come face to face with Japanese macaques: they’re in the wild, you’re in the cage. In summer, watch the evening cormorant fishing. 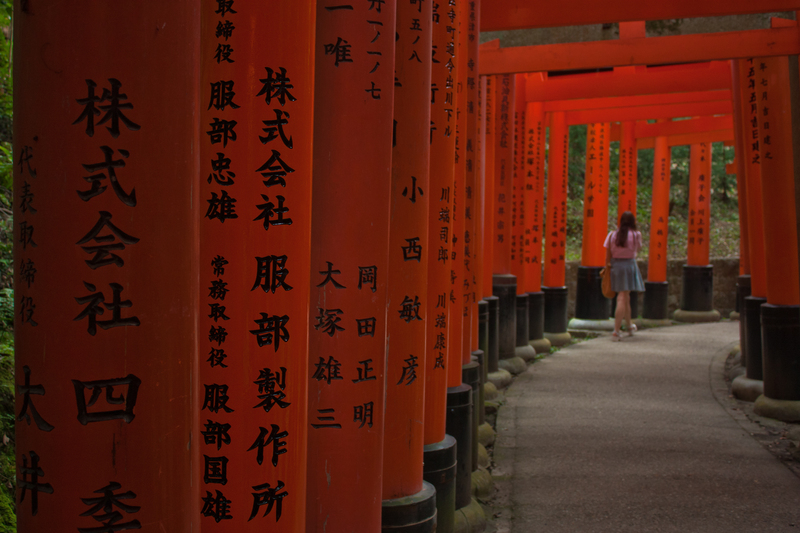 Fushimi Inari Taisha is known for its pathways lined with thousands of torii gates that extend for 4 kilometers into the hills behind the shrine. These ancient hiking trails are also lined with fox statues that are thought to represent the messengers of Inari, the popular goddess of rice and business. Beyond gates, the shrine has several attractive buildings that are lit at night and is amongst the oldest sites in Kyoto. Eikando was founded in the 9th century at a time when building new temples in Kyoto was prohibited. In order to get around the ban, the founding priest bought an villa from an aristocrat in the imperial court. The temple still looks something like a villa today with a series of buildings interconnected with elevated wooden walkways beside a splendid garden. Eikando is also known for its unusual Buddha, pagoda and fall leaves. In Autumn when its leaves peak, the temple is open at night. Bishamondo is a quiet temple in the eastern hills of Kyoto that's primarily known for its autumn leaves and 150-year-old weeping sakura tree. The temple also has a little pond and some of its buildings were relocated from the Kyoto Imperial Palace in the 17th century. Nishiki Market is a narrow street with 126 tiny shops and restaurants. It's known as Kyoto's kitchen. Here you can find fresh seafood, vegetables and Kyoto specialties. Samples and ready to eat snacks are available from many of the vendors. Ok, so this one isn't really Kyoto specific, but like everywhere in Japan, there's an abundance of cute cats! 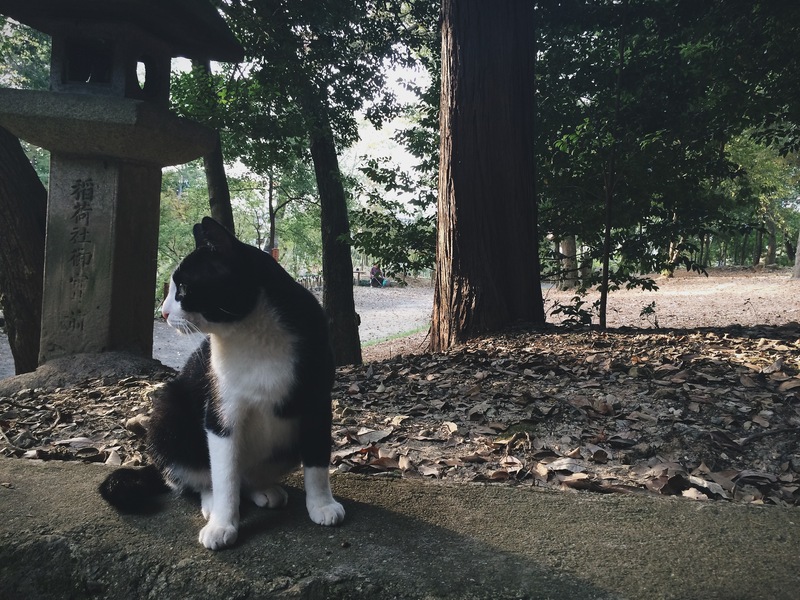 I met this guy at the Fushimi Inari Shrine and saying goodbye was a struggle. Neko Astume anyone? Kodaiji Temple was built in memory of the warlord Toyotomi Hideyoshi by his wife. Toyotomi Hideyoshi united all of Japan, built Osaka Castle, invaded Korea, persecuted Christians (including the public crucifixion of 26 Christians in Nagasaki) and dreamed of conquering all of China. Kuramadera is a Buddhist temple high on Mount Kurama. The forests of the mountain are steeped in Japanese myth and folklore. It's considered a spiritual mountain. Mount Kurama is a popular place to hike (an easy 30-minute hike). Definitely doable as a day trip, buy more enjoyable if you stay! 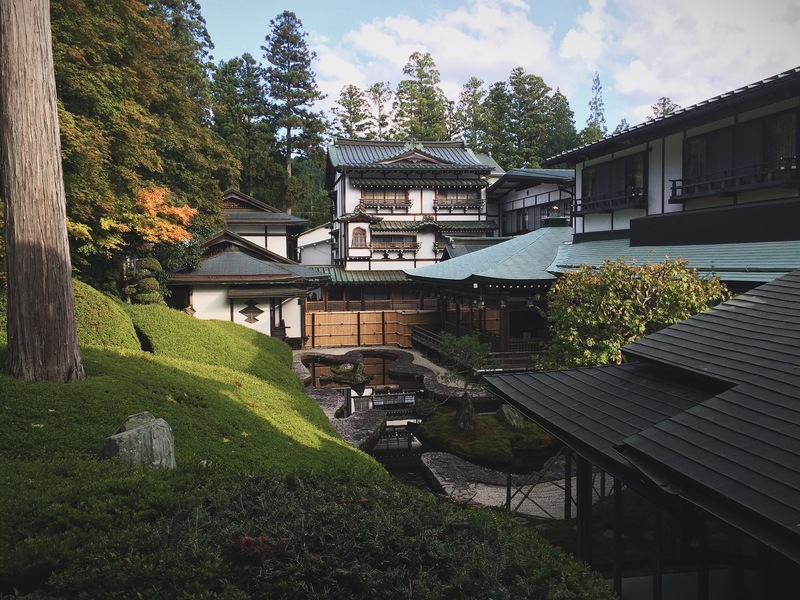 Koyasan is a Buddhist monastery town in an 800-meter high valley surrounded by eight mountain peaks. The town features 120 temples, a cemetery, and a university. Many of the temples offer lodging to tourists. Staying in a Japanese temple is a recommended experience. Your stay will include a traditional Japanese Buddhist breakfast (vegetarian). Koyasan is about 90 minutes by train from Kyoto. Shorenin is a temple in the eastern hills of Kyoto that was originally a 13th century imperial villa built for the son of an Emperor. 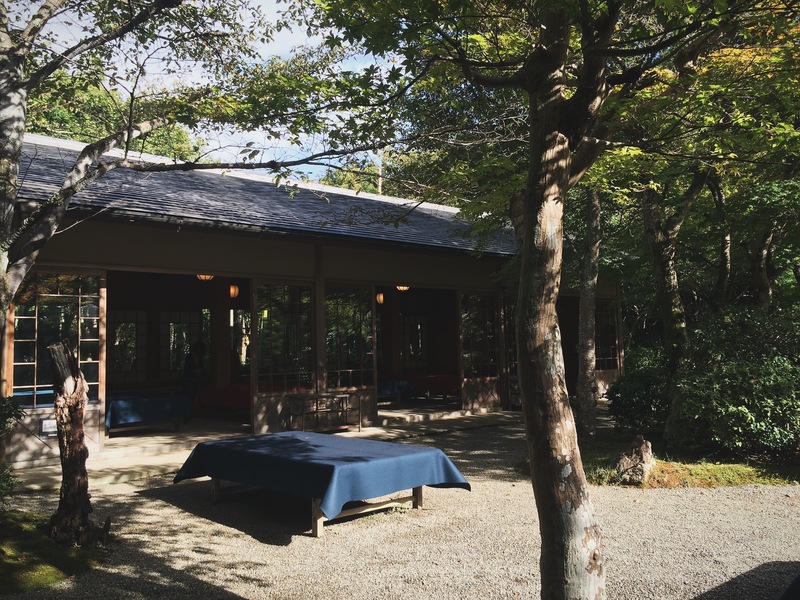 Today it's enjoyed for its architecture, art and garden surrounded by 800-year-old camphor trees. The temple's garden is illuminated at night in spring and autumn. The villa of the well known Japanese actor Okochi Denjiro (1896-1962). The buildings can only be viewed from the outside. 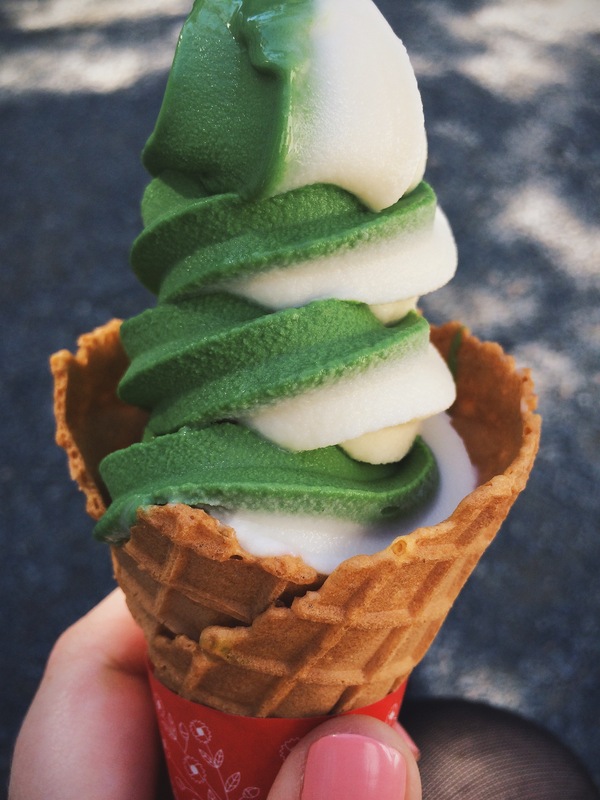 However, the grounds have a nice garden and matcha and a snack are included with admission. Kyoto Gyoen is a large forested park that's open to the public. The park was once an Imperial Town where the relatives and officials of the Emperor maintained residences to be close to the Imperial Palace. Kozanji Temple is located deep in the mountains. It's a perfect location for viewing fall colors. The temple is known for its monks who practice Buddhist asceticism in the nearby forests. The temple was founded in 774. It holds a large number of important cultural artifacts. These are often on loan to museums in Kyoto and Tokyo. Amongst Kozanji's collections is the Myriad Things of the Universe — the oldest surviving dictionary of the Japanese language.